Heard of dribble-drive motion? 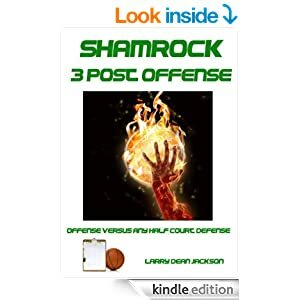 Herb Welling has, and he’s quick to break down the hottest, and some would say most esoteric, offense in basketball. The quintessential basketball junkie, Welling has a range of basketball contacts across the country. Bob Hurley calls him a jewel. Howard Garfinkel calls him a right-hand man. Coach K and The General can pick him out of a crowd. He leans toward a computer and opens a folder. Come here, he says. He scrolls down, down, down. Past clinics and practices and drills from some of the game’s biggest names. Through motion offenses, zone defenses, out-of-bounds plays, man-to-man drills. He’s got a dozen boxes full of this stuff at home. The library, he calls it. This is why friends from coast-to-coast contact Herb Welling to talk X’s and O’s. This is why a volunteer assistant coach at Omaha Central is one of the most recognized basketball junkies in the country. You want investment tips in this town? Try Buffett up in the tall buildings. But Omaha’s hoops oracle spends his days in a cramped, windowless office no wider than a basketball lane. He’s 45, quick to boast and quicker to cry. He’s an old military brat who landed at Offutt some 20 years ago, back when he didn’t look like Rick Majerus. He turns up the volume on his security scanner. He hears his name again. He moves toward the door, steps into the rain and starts his patrol of the Central grounds. John Calipari was working the sideline Saturday night at the Final Four as his Memphis Tigers drilled UCLA. Herb Welling was watching on television from his living room. The two men are much closer than they seem. They both preach the virtue of dribble-drive motion, a cutting-edge offense sweeping the sport. Calipari has helped make it popular. Welling has made it lucrative. Last June, a film crew from Sysko’s, a basketball instructional video retailer, came to Omaha Central for one afternoon. Five or six hours. Welling and a group of Omaha teenagers demonstrated the dribble-drive motion, which Central has used to win state championships the past three seasons. Now Welling’s videos – thanks to Memphis’ success and a plug from Sports Illustrated – are selling faster than anything Sysko’s has ever produced. That includes videos by coaching heavyweights Bo Ryan, Bill Self, Jim Boeheim, Jim Calhoun, Billy Donovan and Carolina’s Roy Williams. In seven months on the market, 1,300 Herb Welling video sets have sold for $71.95 apiece. Next best is Southern Illinois coach Chris Lowery’s defensive drills with 300 in the past year. It all started with Vance Walberg, a community college coach in Fresno, Calif., whom Welling had heard about from friends in the business. Welling’s “Rolodex is ridiculous,” said Hurley, legendary high school coach at St. Anthony in New Jersey and father of former Duke guard Bobby. Walberg’s offense was drawing interest from coaches across the country, but the architect, like a lot of basketball coaches, hesitated to reveal his secrets. So Welling started compiling research – he’s been dubbed the Minister of Information around Central. He watched Walberg’s game tapes and clinics. He studied a similar system run by a small-college program in Seattle. He eventually cracked the code. He showed the offense to a friend at Sysko’s. When Walberg turned down the retailer’s request to shoot a video, the company called Welling. The scenario was fortunate for Welling, but certainly no fluke. A decade ago, his obsession centered on Pete Carril’s Princeton offense. He and a coaching friend compiled a six-inch binder full of notes that baffled college coaches who saw it. Welling brings Omaha Central head coach Eric Behrens new stuff all the time. Behrens filters through it, discarding most. Not long ago, Welling brought Behrens a Mike D’Antoni video shot in Eastern Europe. D’Antoni, coach of the Phoenix Suns, was speaking English, but the narrator was “a lady from Yugoslavia,” Behrens said. Lately, Welling’s been on a Suns kick. Curiosity keeps Welling on the cutting edge. And once he sees something, he never forgets it, said LeBron’s high school assistant, now a head coach in Akron, Ohio. “I could ask him some off-the-wall question like, ‘What does North Dakota State do on defense? '” said Culp. “He’ll tell you exactly. Everybody knows what North Carolina does, but who knows what North Dakota State does? There’s one other minor difference. It’s the reason Culp advises people before they meet Welling to withhold judgment. It originates in this stereotype: Basketball gurus aren’t supposed to be portly security guards from Omaha. Welling spent Saturday mornings holed away, sifting through walls and walls of basketball books and movies. In high school, his parents divorced. He quit going to class. But he never let go of basketball. He wanted to coach at UCLA. He went to college for a few semesters, then entered the Air Force. That’s how he came to Omaha. He started coaching youth teams. His passion was North Omaha. He started taking kids to camps. He made friends with coaches all over the country. Each summer, he moved out of his Omaha apartment around Memorial Day, drove an old beater car to the East Coast, packing his trunk full of coaching notes; “the library” was mobile at that time. He worked camps at places like Duke and Princeton, but always found his way to Pittsburgh for the famous Five-Star basketball camps, where the top high school players congregated. A friend introduced him to Howard Garfinkel, the Five-Star founder. The two junkies hit it off. To drive Garfinkel around the camp in his golf cart was akin to being knighted, Seton Hall coach Bobby Gonzalez has said. Herb Welling drove the golf cart. Welling saw campers Vince Carter, Stephon Marbury, Carmelo Anthony. One day during camp lunch, Duke coach Mike Krzyzewski walked into the room, Welling says. Welling starts laughing. Pretty soon his chuckles turn to tears. Once the tears come once, they don’t go away for long. He recalls Phil Ford giving him a tour of the Dean Dome. He remembers Roy Enright, Welling’s stepson, playing one-on-one with Jordan at Five-Star – the picture’s there on Roy’s wall. Welling always returned at summer’s end to Omaha, where he’s not revered unanimously the way he is around the country. Some local coaches question his ability to operate a team. Some think he tries to recruit the best talents for himself, and for Central. Some say he’s too worried about college scholarships and Five-Star connections. Welling refutes all of it. He cites his seven straight state tournaments at Central. He cites kids like Ben Kline he’s coached since they were 5. He cites the Division I scholarships he’s helped deliver Omaha kids like Ben Ebong, Othello Meadows and T.J. Pugh. But Welling isn’t paid so he doesn’t attend Central practices every day. He doesn’t make the calls on what the Eagles run. Central even diverted from the dribble-drive motion the last month of the season. But Richard Marion is convinced of Welling’s skill. He helps Welling coach the Midwest Stars, an Omaha AAU team. He said the city has an icon and doesn’t even know it. “Watching Herb do a practice is like watching a surgeon in the operating room,” Marion said. John Jungers, an Omaha native and NBDL scout, has heard questions about Welling’s integrity. Welling’s dream: head coach at a K-12 inner-city private school, like Bob Hurley back in Jersey. But he doesn’t have a college degree or a teaching certificate. He has no intention of going back to school. Without either, he’s unqualified – at least on paper. He couldn’t see himself in the classroom dealing with unmotivated students. So he keeps adding to the library. He keeps fielding questions from strangers about the video – at least five or 10 a day. Well, Herb, let’s see it. Let’s check out basketball’s hot new teaching instructor. Welling grabs a copy and slides it into the DVD player. “This is the first time I’ve seen it,” he says. He appears on the screen wearing a purple Central T-shirt – Sports Illustrated compared him to the McDonald’s character, Grimace. At the end of each demonstration, each offensive option, the video displays a clip of Central executing it during game action. It looks crisp. It looks good. One problem: Welling spots a mistake. The game highlight right there, he says. That had nothing to do with the offense. The editors made an error. Welling momentarily considers apathy. Then he leans back into the sofa – and grimaces. Found via Coach Finamore’s blog. This entry was posted in Clinic and tagged coaching basketball on March 5, 2015 by admin.